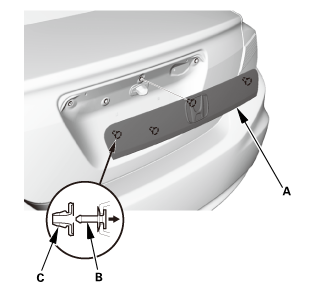 Pull out the rear license trim (A) to release the clip pins (B) from the clip grommets (C) on the trunk lid. 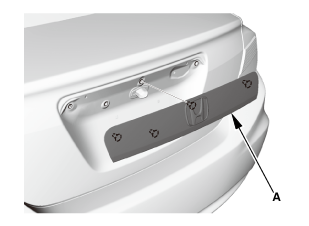 NOTE: The clip grommets will stay on the trunk lid. 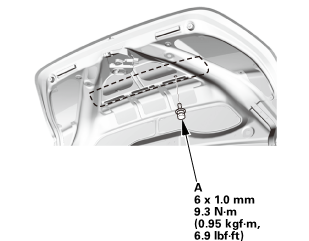 Remove the clip grommets (A) from the trunk lid. 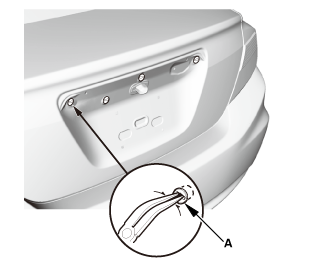 Install the clip grommets into the clip pins on the rear license trim. NOTE: If the clip pins and the clip grommets are damaged or stress-whitened, replace them as an assembly with new ones. 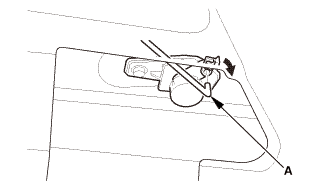 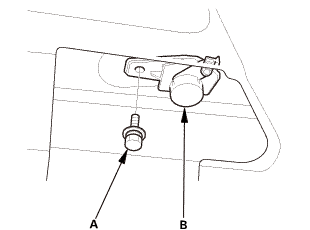 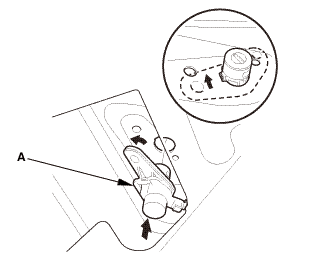 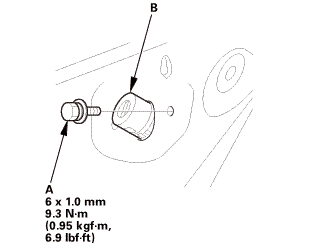 Remove the bolt (A) securing the trunk lid lock cylinder (B). 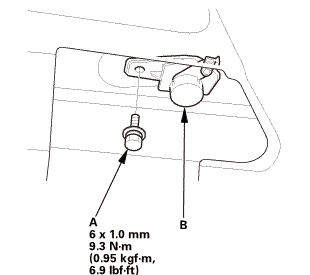 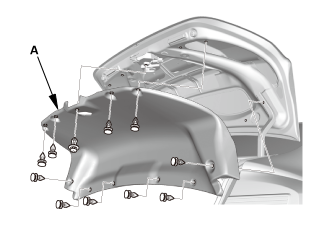 Install the bolt (A) securing the trunk lid lock cylinder (B). 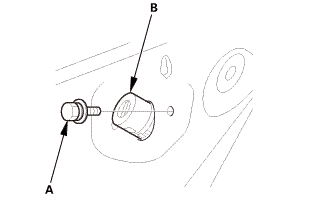 Connect the cylinder rod (A). 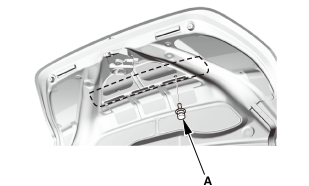 Hold up the rear license trim (A), and fit the clips into the holes in the trunk lid. Push on the trim until the clips snap into place securely.